Co-Listed by Brian Gill with CENTURY 21 ClearView Realty 605-641-3465. 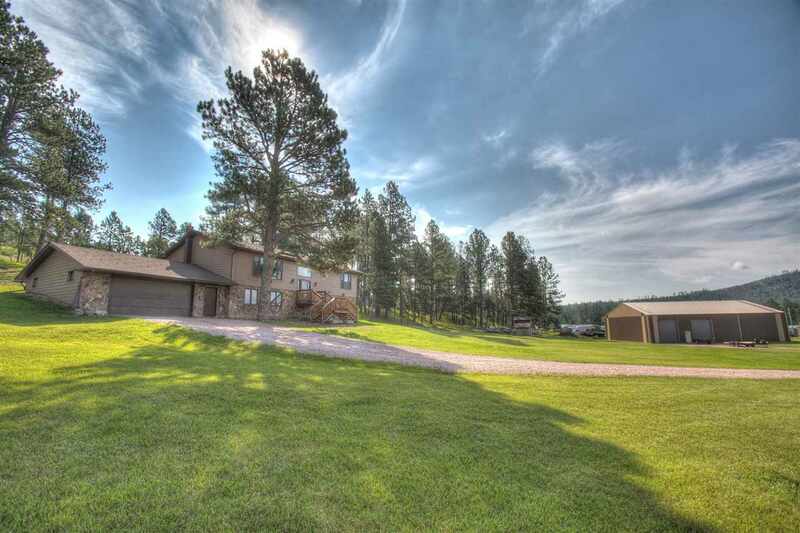 Beautiful, roomy and updated home on a gorgeous 3.62 acre lot that backs up to U.S. Forest Service land, with plenty of elbow room and NO covenants!! The home boasts an open concept main floor with a large living room and new Pella windows that give you a superb view of the surrounding mountains, with the added feature of a southern exposure to take advantage of the sunny winter days! The spacious updated kitchen has a large center island that seats 6, tons of cabinet and counter space with soft close drawers along with a pantry down the hall. The ample dining area opens out to the new deck in the back that offers peaceful, private and quiet times for morning coffee, relaxing evenings with your favorite beverage, or just unwind and listen to the breeze thru the trees and watch the deer and turkeys! You will find the master bedroom has plenty of room, new Pella windows and a master bath for added convenience.